Sorry, you can only order up to 463 units of this product! 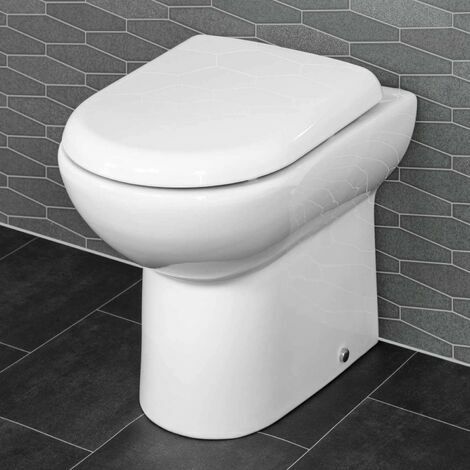 The Ceramica Saturn Back to Wall Toilet is part of our affordable yet high-quality Saturn range. It features contemporary styling with a soft close, square edged lid, a style that's ideal for a minimalistic look in the bathroom. It's incredibly comfortable to use, thanks to its smooth to the touch surface. It's also incredibly hygienic and is easy to keep clean so that it always looks fresh. Includes a stylish Saturn back to wall toilet pan and soft close toilet seat. It's designed to go superbly with the rest of the Saturn range but works well on its own too.